Elan Metallics metallic paper and cardstock come in over 30 beautiful colors emitting sparkle and shine from it's shimmery surface. You'll find many uses for this large offering of metallic-like paper and you'll enjoy the choices of deep and light metallic colors available. 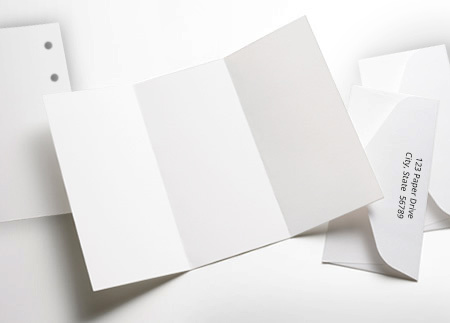 The papers within Elan Metallics range from an 80 lb text weight to 111 lb cover weight. The 80 lb text is nice paper weight on the heavier side. The 111 lb cover is a beefy cardstock which stiff and substantial. 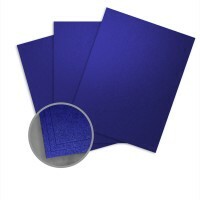 You can choose from 8 1/2 x 11 and 12 x 12 sheet sizes. Crisp cutting and deep fold memory grace the line, making this spectacular paper one which will enhance your projects far beyond everyday paper. When you're looking for an elegant project foundation or just an embellishment accent, Elan Metallics will provide with the look and feel you deserve. Elan Metallics® Colored Papers are easy to print on when following these simple hints. We recommend you pre-test all procedures prior to press time to ensure you achieve the desired results. 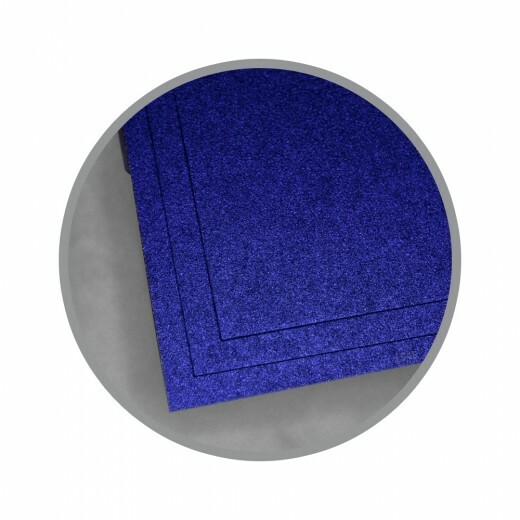 Elan Metallics have a partially absorbent to non-absorbent surface. For optimum results, we recommend inks that dry by oxidation and are 100% VOC free. Please consult your ink manufacturer prior to printing. Some offsetting of the pigment particles to the blanket may occur during printing but should not affect the image quality and will not require special wash-ups. Keep Elan Metallics wrapped in mill packaging until the moment of printing. It is essential to let the paper acclimatize in the press room for a minimum of 24 hours – longer during cold weather. Also keep Elan Metallics covered during drying, between passes and prior to any finishing work. Pressroom conditions should be as close as possible to 68 degrees and 45-60% relative humidity. If the bindery has a different climate than the pressroom, allow the paper to acclimatize to those conditions. Elan Metallics are equally coated on each side. We recommended you print both sides of the first 20 sheets of each carton to ensure you achieve the desired results on each side. Low solvent (0-5%) varnish or aqueous coating is optional as a surface protector or to achieve design effects. Pre-test all coatings for compatibility. Run water at minimum levels with a minimum pH of 4.0. Solid or multiple color bars can be used to assist in removing water and aid in ink set time. Use care when cutting Elan Metallics. Use a sharp knife with minimum clamp pressure. To achieve a clean edge, back trimming is essential. Wipe the newly cut edge with a clean, soft, glycerin-saturated cloth. To properly score Elan Metallics, start with a 2 point rounded channel score. The matrix channel should be a minimum width of 2.5 times the caliper of the sheet to be scored, plus 0.028” - normally 0.050” for text and 0.060” for cover. Elan Metallics are suitable for all standard binding processes. It is important to plan for proper grain direction in all binding applications. Grain direction should run parallel to the spine for optimum results. Gorgeous, high quality cardstock. Perfect for the invitations I'm making. This is the perfect matte paper to use for my wedding invites. I especially love the shimmer aspect of it.